Lot’s going on at Waterfiltercrock.com. Let’s get you up to date! In case you missed it, we’ve updated our water filtration system to allow 2 filters instead of 1. We’ve found that heavy water users appreciate having to fill their water crock less frequently and getting a faster flow rate with a 2 filter configuration. However, some of you still may want to stick with 1 filter. You can still do that. We include a filter plug with our system that allows you to close off one hole, allowing you to only use one filter. We now bundling the two filters with new crock orders by default. Even if you only want to use one, you can save the other as a backup, and not have to pay extra shipping when you need to replace your filter. In case you’ve found shipping charges too high in the past, you may want to check back again. We’ve partnered up with ShipStation for reduced shipping rates. 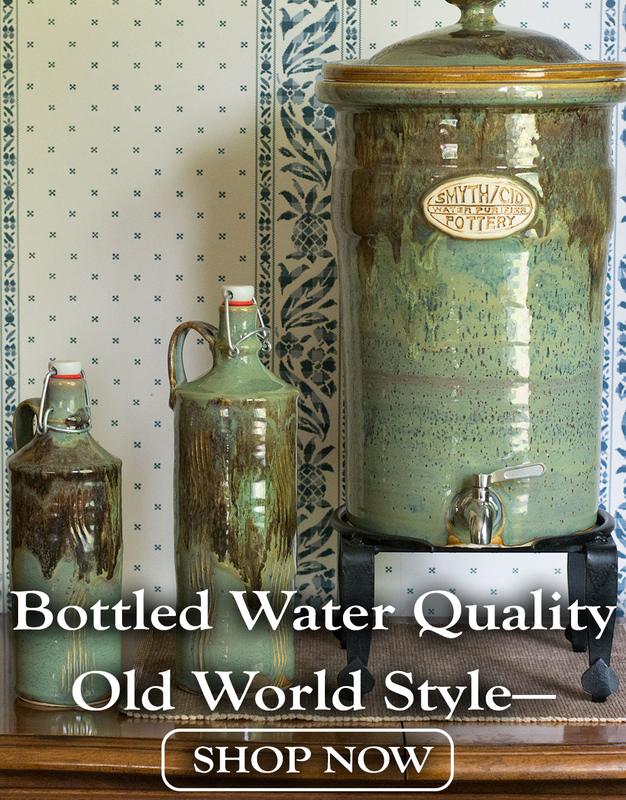 We’ve also separated orders into separate shipments, one for water filters, and another for water crocks. We default to USPS for filters, which has made a huge impact on shipping costs. Please note, if you’re not in the US, you’ll still have to contact us for a custom shipping quote. In an effort to reduce overall costs to you for your replacement filters, we are now offering filters in 2 pack and 4 pack options. This saves you money in two ways. First, you get a bigger discount from us for more filters. Secondly, the way we package the order, you pay close to the same shipping cost whether it’s one or four filters. If you want to stock for doomsday or something and want to order larger volumes, contact us for bigger discounts. We’ve had some customers contact us with concerns about calcium buildup in their coffee pots, kettles, and such from their tap water. They ask if our crocks remove calcium buildup. Fortunately AquaCera was able to help us out with that. Now our filters by default offer calcium reduction. While it’s not a bulletproof solution for scaling, we’ve had feedback that it is helping out a lot.